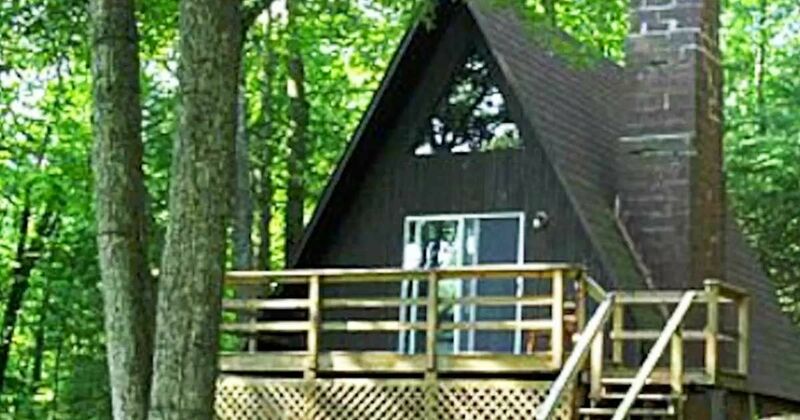 Hiking, biking, fishing, and exploring all await you at this Virginia cabin. Nestled in the back forest of Crozet, this A-frame is part of the Montfair grounds that give access to a lake, trails, and it's very own view of the famous Blue Ridge Mountains. Inside, the space is simple and cozy. The A-frame has a kitchen that's open to the living room with a giant fireplace to sit by after a long day of adventuring. 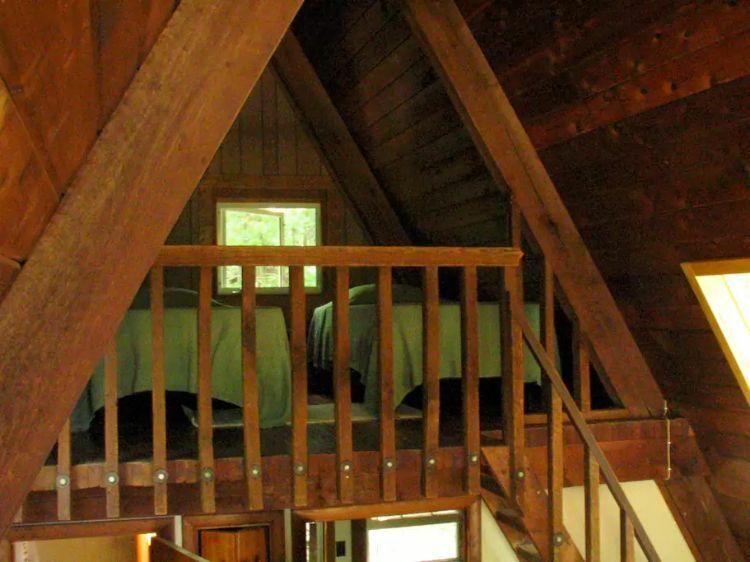 There's also two beds in the loft space, and a master bedroom in the back. The kitchen is simple, but has everything you need to make a great home cooked meal. 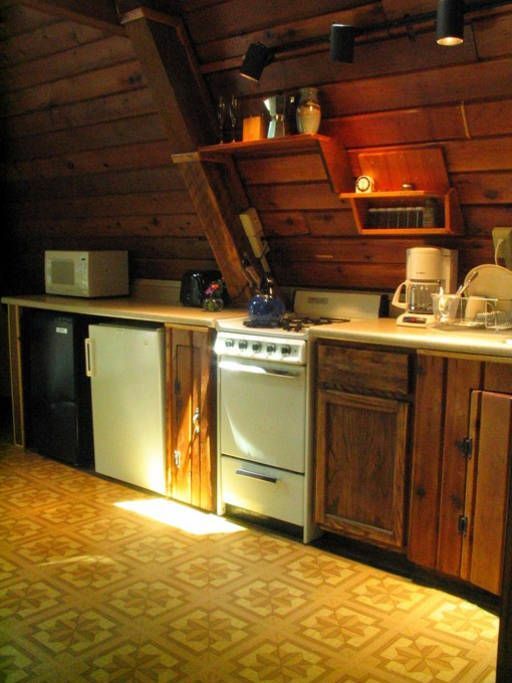 The cabinets are vintage, and a little mismatched - but it adds to the rustic charm of the home. The kitchen opens up to the living space that has rustic furniture and a big, beautiful fireplace. This is the perfect spot to swap stories after a long day, or cozy up with a good book. Come spring and summer the area is blooming with local flora. 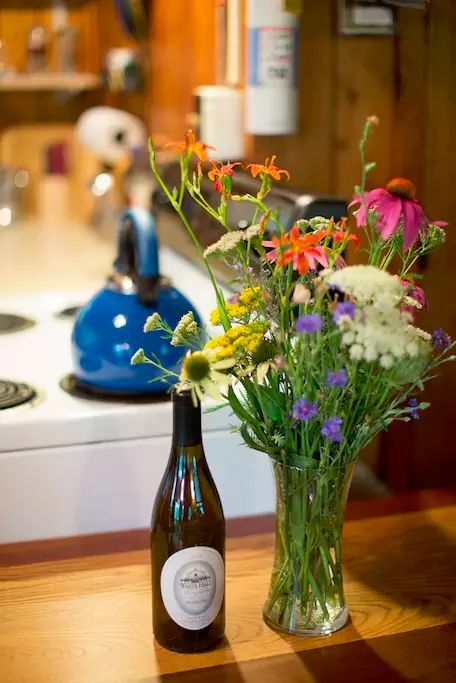 While the owners of the cabin encourage you to leave most of it as is for others to enjoy - we can't say we'd blame you for making a vase out of these pretty flowers. 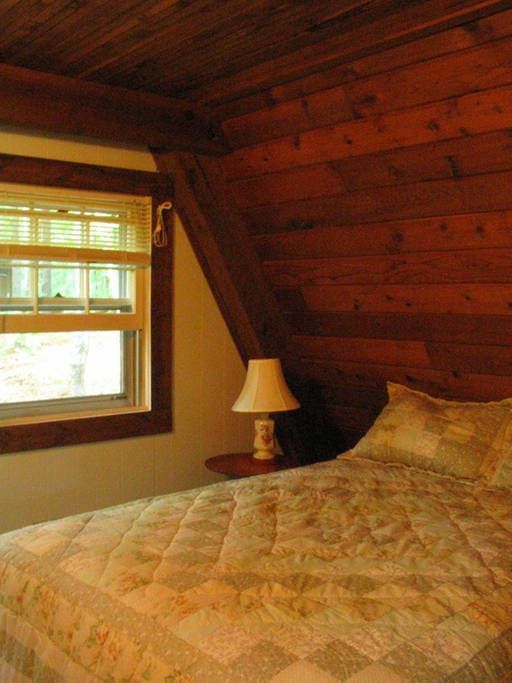 In the back, there's a cozy master bedroom tucked against the angle of the A-frame. This room is small but it has everything you need, and is a quite spot to rest your head at night. This is a space the kids are sure to love. They're going to enjoy climbing up their very own ladder to their secret spot hidden in the crook of the A-frame. 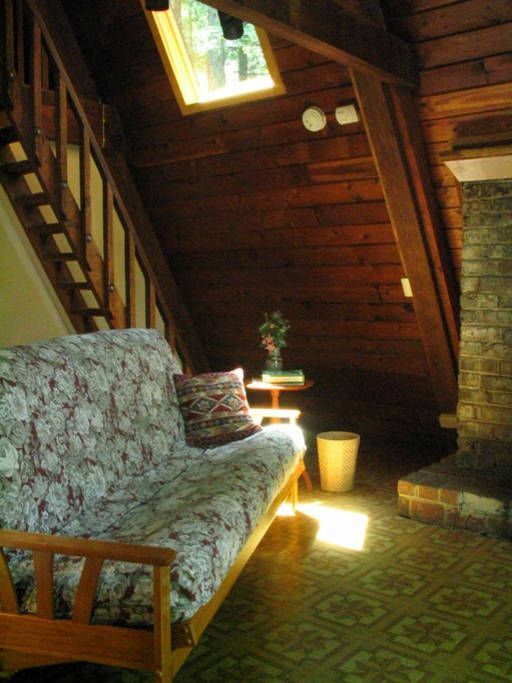 Share this Virginia cabin retreat with your friends on Facebook, Twitter, and Pinterest.